Join us for Passover in the Desert! 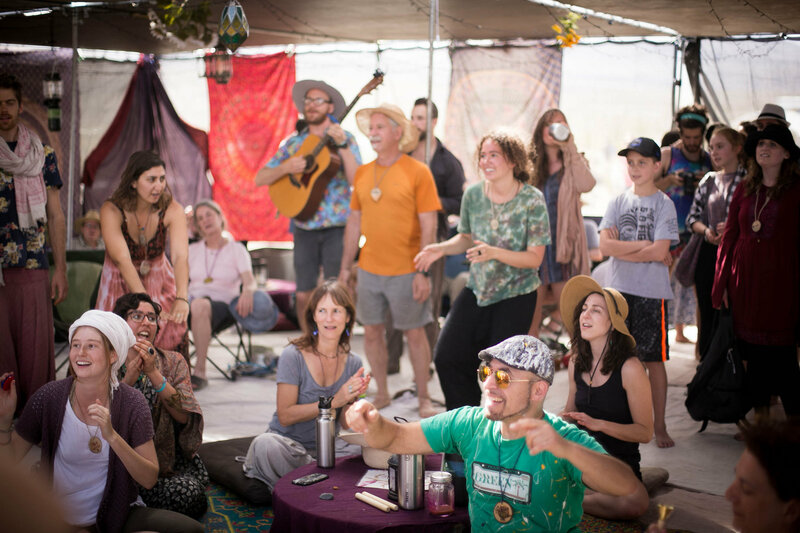 A four day journey to the desert to be in multi-generational village, learn ancestral skills, eat delicious organic meals, explore a variety of fun programming, and enjoy the expansive wonders of nature with Jewish family. Cost: We want to offer the opportunity for everyone to attend Passover in the Desert, so our adult tickets are tiered. $725 is the actual cost of production, per person. Everyone is encouraged to give to the extent they are able, at the highest level they can, to support our community as a whole. About the Festival — Step into the Passover Story! Each year, we Jews retell our core story — our Passover journey from slavery to freedom. This spring, step into your Exodus experience and discover transformation and liberation with the expansive desert as your guide. Step into the Passover Story! Just like the ancient ones, we go to the desert wilderness to remember and recover our ancient wild nature. Just as the ancients found freedom from the narrows of slavery in the wilderness, we can find freedom from the narrowness in our lives today. The Hebrew ancestors departed the narrow places that enslaved them and began a long journey towards freedom. We gather during the final days of the Passover holiday, to build that village that supports our personal and collective freedom. Our village in the desert embodies simplicity, connection, tribe, and transformation. Our ancestors lived in tight-knit communities where people of all ages were in deep relationship with themselves, each other, and the land. We activate these ancient connections through prayer, ceremony, food, celebration, and honoring life’s passages together. Together we build a village. 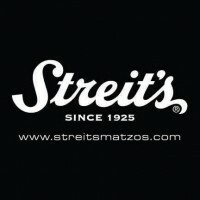 Passover in the Desert is a co-created community experience. Collective service responsibilities (hitnadvoot) and opportunities to share your skills and talents (program offerings, talent show, tribes) allow you to both give and receive. The success and beauty of our village rely on our agreements for living harmoniously and taking responsibility in community. Participants are invited to volunteer to teach short programs during the festival. This teaching opportunity provides a platform for teachers to showcase the depth of knowledge and experience they’re bringing to the community. This can also be an opportunity for teachers to develop and launch new ideas. Please indicate on your registration form if you would like to give a teaching or offering. Tribes are small, groups of 10–12 people, with a common interest, who come together throughout the festival. On your registration form, you will be given the choice to select a tribe based on your interests. Tribes are a way for people to get to know each other, explore a desired topic and go deeper into the festival experience with the comfort of a smaller group. Tribes are asked to collectively support the village by either performing one service shift for the community (for example helping the Family Village), creating a piece for the “Illuminate Your Flame” (talent show), or assisting the village in another unique way. Each tribe has a Rosh (head) who will guide the tribe. Roshim (plural of Rosh), are comprised of Wilderness Torah staff and members of the Village Planning Council and are all available to support you through your experience. Your Rosh is a support person for you throughout the festival. Almost every member of the community will cook and/or clean up one meal with their assigned tribe. Cooking with our chef is both a fun learning experience and a great opportunity to serve our community by preparing food with your tribe. We love homegrown food! Contact us if you have food from a fruit tree or an overflowing garden that you’d like to offer. Wilderness Torah invites a culture of physical touch and cuddling, as this is an important part of showing love and care for one another. For some, physical touch it is great, for others it is too much, and for some too exclusive and alienating. We strive to create a culture of consent. We have created a document with consent guidelines. You can download the PDF here. Our village spaces provide distinct areas for people to engage deeply in diverse content. Our Tent of Meeting is our central gathering space for ritual, meals, and offerings. This tent provides shade and some protection from the wind. The Hearth (kitchen) prepares two delicious, organic, seasonal, kosher meals a day and includes a snack station for in between times. We provide and maintain a dishwashing area where you can clean your personal dishes after each meal. The Hearth maintains a separate kosher for Passover dishwashing area used only for the Wilderness Torah kitchen supplies. Those needing kosher dishwashing may use this are by special permission from the Hearth. The Family Camp area is a village within the village for parents and children to create a community of families. Mentorship and programming for kids ages 4-11, and tot childcare support ages 0-3 will be available at designated times throughout the festival. Crafts, toys, books, snacks and water will all be available in the kids tent, and the family tent will be a space for midday naps, breastfeeding, and a little peace and quiet amidst a busy village. Teens ages 11-15 will spend a beautiful shabbat together in surprise canyon; teens ages 16-18 will have some special programming, as well as support to integrate into the village. Our Hebrew ancestors tended a sacred fire for centuries and we awaken this ancient tradition at Passover in the Desert. As a community we will keep our Eish al haMizbe’ach (Fire on the Altar) burning through the entire festival. The sacred fire provides a space to pray, make offerings, and engage Spirit in a personal and powerful way. The Queer Space is a safer space for queer community to gather, learn, reflect and teach about the intricacies and intersectionality of queerness. Open to queer folks and allies* this space is aimed at cultivating a more inclusive village community and providing a space of conversation, exploration, and resilience. *There will be a series of classes for queer identified folks only. The Healing Oasis provides a space for herbal remedies, First Aid for a variety of symptoms and conditions as well as body work and spiritual guidance. This is a place to rest and retreat and heal your body, mind and spirit. We encourage people to offer gifts such as massage, Reiki, counseling, blessings, acupressure, sound healing etc. If you have homemade medicinal salves, tinctures or other herbal remedies that you would like to share with the community, the Healing Space would be happy to put them out during the festival. If you are interested in offering a teaching, counseling, herbal remedy, or something else for this space, please indicate on your registration form. Home of our ancestors and visions for the future. This space will be used to engage and cultivate connections to ancestral crafts, stories and technologies. We believe that by connecting to ancestral wisdom, we can learn to be our best selves and lay the path for future generations. The Red Tent is a space for those who identify as women (womyn, womxn) and are of moon-time age or beyond (menstruating or post-menopausal). It is a place of renewal and quietude. Traditionally the Red Tent was used for women who were menstruating only. Today, we open it to all those who identify as women to experience a space created for healing and rejuvenation. Please be mindful that this space is not open to children or girls under menstruating age. Programming in this space will be limited to 4 hours as it is mainly a space of rest and relaxation. The Men’s Lodge is a place for male-identified folks to explore their relation to masculinity and what can emerge from the safety of a container being held for men’s healing. Come take part in some of the themed tea ceremonies with hints of Jewish mythology or just lounge around and sip on a cup of Moroccan mint or pu-erh. This is a great place to meet community. If you want to serve, we invite you to do so as well, please sign up when you register. We will also be offering this space as a snack zone. People are welcome to bring things to share, and Wilderness Torah will offer a daily snack for the whole village (Please note, different than our kosher Hearth, food served in this space will *not* all be kosher). Everyone is welcome at Wilderness Torah events. We aim to create diverse, pluralistic, multi-generational community celebrations to reconnect us to the earth-based traditions of Judaism. We welcome everyone — Jews, people with other faiths and backgrounds, interfaith couples and families, the LGBTQIA community, people of color — anyone who feels called to attend. We strive to offer a range of activities that engage people of all backgrounds and experience levels, and we partner with inclusivity organizations on programming and training. We welcome your feedback! Follow the links below to get all of the details!